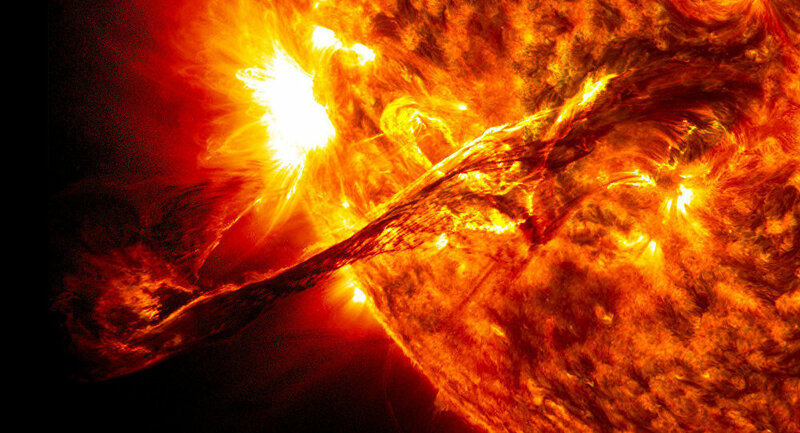 "We have recently received a letter from from our US colleagues working in the field of radiation safety at the Johnson Space Center with a proposal to discuss creation of a system to predict radiation hazards from solar flares for long-term interplanetary flights. And, first of all, we are talking about the lunar near-moon station," Panasyuk said. "Russia has created a system of radiation control in the near-Earth space at different orbits, from lower to geostationary ones. It is a big achievement," the researcher said. The Russian scientists are ready to share the obtained information with European partners who are researching space radiation effects within CRREAT project, Panasyuk added. The National Aeronautics and Space Administration has refused to help transport the Russian ultraviolet telescope designed for studying ultra-high energy cosmic rays to the International Space Station (ISS), and the optical instrument will have to be delivered in parts on several Russian Progress spacecraft, Panasyuk stressed. "If the necessary funds are allocated and the technical issues are resolved, the delivery of the telescope to the ISS is expected to take place in 2022-2023," Mikhail Panasyuk said, adding however, that the telescope is too big to fit into the Progress spacecraft and will be delivered in parts. The scientist noted that Russia suggested that the United States could bring the telescope to the ISS aboard the US Dragon spacecraft. "However… NASA came up with its own project POEMMA, [which envisages the launch of] two satellites with ultraviolet telescopes. But the time frame for its implementation is the end of 2020s," the director added. The Russian ultraviolet telescope is part of the Extreme Universe Space Observatory (EUSO) project on the research into ultra-high energy cosmic rays.